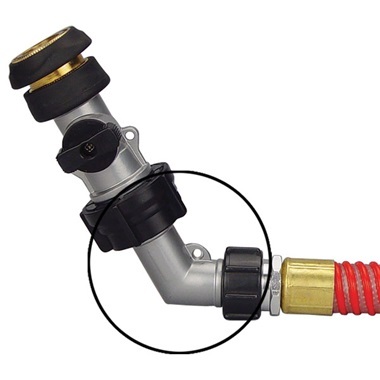 45° elbow angles turbine air hose out of the way of your painting project. Helps when working in confined and tight areas. Screws onto bottom of air control valve and turbine hose. Made in USA.